Chemistry is an integral part of the Cultural Heritage of Europe. However, while there are many touristic signs marking the very place where important intellectual developments or events happened, only a few chemical sites are identified and publicised. Most of the existing programmes are run by national chemical societies, and therefore often overlook the European, and even the international dimension, of the chemical sciences. For these reasons, EuChemS decided to set up a Historical Landmarks Programme. It will reinforce the sense of belonging of European chemists and remind them that as far as the history of chemistry goes, people and ideas alike have circulated, been shared and shaped through meetings and communication. It will also bring to the general public some sense of how chemistry is part of the general cultural heritage and history of every European citizen, especially as the plaques will be accompanied with communication materials providing information on the discoveries and breakthroughs celebrated, and the impact they had. EuChemS takes into account that some countries already have national landmarks programmes, while others have an interest but have nothing in place. In view of this, two levels of EuChemS Landmarks are foreseen: for major and for local initiatives. To be efficient, such a programme requires the full involvement of the local community. The guidelines for this award can be found here. Following the recommendations of the Landmark Selection Committee chaired by Brigitte Van Tiggelen, and the decision of the EuChemS Executive Board, two awards have been given out – one focusing on the European-wide level of meaning of the landmark, and the other on its role played at the national or local level. The Ytterby Mine, in Sweden, has been awarded the EuChemS Historical Landmarks Award in recognition of the role it played in the history of chemistry and European sense of belonging between people and ideas. The Ytterby Mine and the important chemical discoveries that were tied to it successfully exemplify the way chemistry is part of the general cultural heritage and history of Nordic, but also all European citizens. The industrial complex of ABEA in Crete has been awarded the EuChemS Historical Landmarks Award in recognition of its role in fostering a deep link between chemistry and local cultural heritage. ABEA and the important chemical discoveries and developments that were tied to it successfully exemplify the manner in which chemistry forms an important element of the regional cultural heritage and history of Crete. We hope that with these awards, the landmarks will become ever more familiar and well-known, where citizens will better understand and appreciate a significant moment when chemistry and history were forever tied together. Dr Brigitte Van Tiggelen is currently the chair of the EuChemS Working Party on the History of Chemistry. She specialised in the history of chemistry after graduating both in Physics and History, and her PhD was devoted to a Belgian contemporary of Lavoisier, a thesis for which she was laureate of the Belgian Royal Academy. Brigitte has spent research periods in the US (Philadelphia), the UK (Cambridge), France (Paris) and also Germany, where she was an Alexander von Humboldt Fellow at the University of Regensburg. 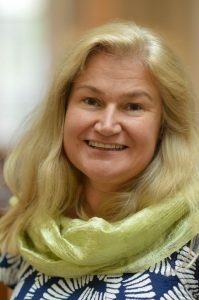 Affiliated with the Centre de Recherche en Histoire des Sciences at the Université Catholique de Louvain (Louvain-la-neuve, Belgium), she is currently the Director for European Operations at the Science History Institute in Philadelphia, US. Whilst her doctoral thesis focused on an 18th century chemist, she has also published work on 19th and 20th century topics. Her research interests include domesticity, women and couples in science, materials and philosophy of chemistry, and history of chemistry in Belgium (among other publication, a book: ‘Chimie et Chimistes de Belgique’, 2004). She co-edited (with Patrice Bret) ‘Madame d’Arconville (1720-1805), une femme de lettres et de sciences au siècle des Lumières’, which was published in 2011, and, along with with Annette Lykknes and Donald L. Opitz, in 2012 ‘For Better or For Worse? Collaborative Couples in the Sciences’. More recently, Brigitte co-edited with Pierre Teissier and Cyrus Mody, ‘From Bench to Brand and Back: The Co-Shaping of Materials and Chemists in the Twentieth Century’ and with Donald L. Opitz and Staffan Bergwik, ‘Domesticity in the Making of Modern Science’. To promote the history of science among the general public and especially among secondary school teachers, she founded Mémosciences, a Belgian non-profit organisation that sets up an annual conference cycle on the history of chemistry, scientific conferences, and teacher workshops. 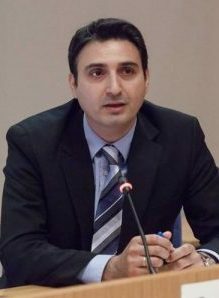 Prof. Ioannis A. Katsoyiannis received his PhD from Aristotle University of Thessaloniki in 2003, having spent short research periods in Germany as a DAAD research fellow. Following this, he conducted post-doctoral research, first at the Technical University of Berlin as an Alexander von Humboldt Foundation research fellow and later at Eawag, under a Marie Curie Individual Fellowship. In 2015 he was a recipient of the prestigious fellowship from the Swiss National Science Foundation and visited for 3 months the group of Professor Urs von Gunten at EPFL. He is currently assistant professor at the department of Chemistry of Aristotle University of Thessaloniki. He is the Chairperson on the division of Chemistry and Environment of the European Chemical Society (EuChemS-DCE) for the period 2018-2020 and the chairman of the 17th International Conference of Chemistry and Environment (ICCE) of the DCE-EuChemS, to be held in Thessaloniki, from 16 – 20 June 2019. Torsten John is a Ph.D. Candidate in Biophysical Chemistry at Leipzig University, Germany. He performs his research jointly at the Leibniz Institute of Surface Engineering (IOM), Germany, and at Monash University, Australia, where he studies the aggregation of amyloidogenic and antimicrobial peptides near nanoparticles and biomimetic membranes. Prior to his Ph.D. studies, he graduated with a Bachelor (2012) and Master of Science degree from Leipzig University, Germany, and undertook research projects at RMIT University, Monash University and The University of Queensland, Australia. Among others, Torsten John was selected as SciFinder Future Leader 2017 and he is recipient of a 2018 Australia Awards–Endeavour Research Fellowship. 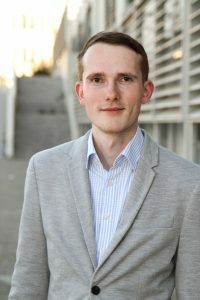 Torsten John is an active member of the German Chemical Society (GDCh) and the Secretary of the European Young Chemists’ Network (EYCN) since 2017. 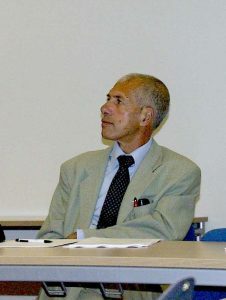 Professor Luigi Campanella received his PhD in 1971 at the University of Rome in Electrochemistry. From 1967 to 1980, he is a Full Professor in the department of Chemistry at the University La Sapienza in Rome – first of Analytical Chemistry followed by Environmental and Cultural Heritage Chemistry. He is made head of the Department of Chemistry from 1981 to 1984, Dean of the Faculty of Mathematics, Physics and Natural Sciences from 1988 to 1994. From 2008 to 2010, he is President of the Italian Chemical Society. Luigi is currently engaged in the field of environmental chemistry, toxicological analytical chemistry, biosensors, restoration and fine art chemistry. He is the author of more than 500 papers, 50 of which in the field of cultural heritage and 6 textbooks. Luigi is currently President of the International Association of Cultural Heritage Scientists, Coordinator of the Network University Museum, and President of the Network of School Museums of Rome. Peter Childs retired in 2009 after 40 years of teaching chemistry at university level in Ireland, with spells in the US, Uganda and the UK. He has continued to supervise students in chemical education research and directs the Chemistry Education research Group. Peter continues to edit and publish the Chemistry in Action! magazine since 1980, now available electronically. He is the Past president of the Irish Science Teachers Association (ITSA) and the Institute of Chemistry of Ireland (ICI), as well as past Chair of the EuChemS Division of Chemical Education. Peter was PI for a Tempus Project SALiS and an FP7 project TEMI, and is currently a member of the UL group on the Erasmus+ project ARTIST. He is a frequent speaker at chemical education conferences, member of scientific committees, and was organiser of the 2013 Eurovariety in Limerick. Peter runs the annual Chemistry Demonstration Workshop for Irish chemistry teachers, and has published a number of chemical education research articles and chapters in books.